Biggest Moves in last night's Draft Circus ~ Roundball Manor - The House that Basketball Built. So how did all of the 'experts' and 'insiders' not see this one coming? Not ONE of them knew the number one overall pick? Really?? The selection of Alex Bennett to Cleveland set of a flurry of wild picks and trades that made for an unpredictably interesting evening. Nets get two hall of famers in Paul Pierce, Kevin Garnett, along with Jason Terry for essentially three 1st round picks, Gerald Wallace, Kris Humphries and MarShon Brooks. They become immediate contenders alongside Miami, Indiana, and Chicago next season. 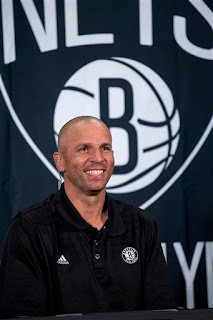 The starting lineup of Deron Williams, Joe Johnson, Paul Pierce, Kevin Garnett, and Brook Lopez are as formidible as any starting lineup in the league. Just snagged two Hall of Famers. Danny Ainge has now obtained FOUR 1st round picks this week and snagged two quality bigs last night in Kelly Olynyk and seven footer Colton Iverson. He is going to build around a young core of Avery Bradley, Jeff Green, Jared Sullinger, and Fab Melo. He added some toughness with Gerald Wallace. Their rotation next season will be young, athletic, and big. It remains to be seen what will happen with Rajon Rondo, but after dismantiling the core of this team and shedding around 20 million in salary, they now have a young competitive team to build around with their bevy of picks the next few seasons. New GM Sam Hinkie put the basketball world on notice last night. The Sixers are starting over. They shedded 41 million dollars by trading away the face of their franchise, sending Jrue Holiday to the Pelicans for Nerlens Noel and a 1st round pick in 2014. 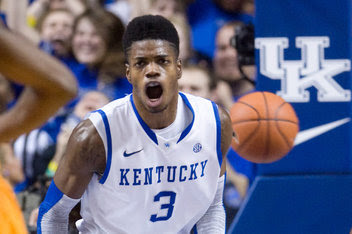 Nerlens is only 19 and will be a defensive cornerstone on this team for a long time. Next they drafted Jrue's replacement at #11 in Michael Carter-Williams who will have a chance to start right away. With Noel projected to be injured most of next season, the Sixers are primed to get TWO MORE solid picks next season, building a foundation of four young stars to develop, grow and play together for the next decade. There are still a lot of moving parts with this team, including a head coach, Andrew Bynum, and the rest of the roster, but this team has a lot to look forward to in a few seasons. 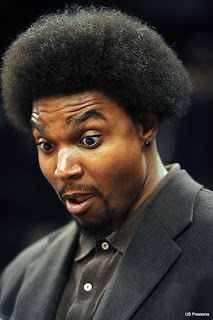 If the Sixers DO decide to keep Bynum, he and Noel could create the GREATEST HAIR BACKCOURT DUO OF ALL TIME.